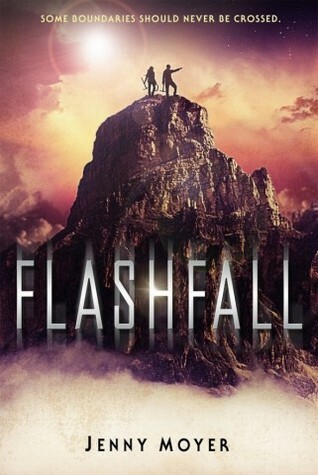 Why I'm Waiting: Flashfall is one I came across looking for another book. I saw the cover, it intrigued me and well, here we go. This one sounds awesome and I can't wait to get my greedy little paws on it. I just really love Dystopians and although many of late have been similar to others that I've read, I am always on the hunt for one that breaks the mold and surprises me. Orion does not intend to spend the rest of her life down Tunnel 9. It is her duty as a subpar to mine—as it has been for all subpars, ever since the radioactive flash curtain fell, nearly destroying all life. Orion, the most gifted of the miners, knows she can earn her ticket out and into the protected city of Alara with 400 grams of cirium, the only element that prevents radiation sickness. But everything is not as it seems. When Orion learns a truth that challenges all she's ever known, she embarks on a quest for something far more precious than cirium: freedom. Along with Dram, her caving partner and the boy she might love, Orion sets out on a mission of rebellion and survival. Since I'm curious, Have you heard of Flashfall before? That about wraps up my Waiting On Wednesday for this week. Feel free to leave a link to your Wednesday memes in the comments below, I love finding new books to read. Like what you see? Please share! Yup, they never get old. I'm only now starting to get over my lengthy dystopian burn out in which I just could not read anything within the genre without feeling bored. Here's to hopefully something NEW!! This has potential I think. Word, I can understand but even when I'm burned out on the genre I am still a sucker for books in it. I haven't read a dystopian in a while but this might be one that I pick up. The cover definitely catches my attention. Thanks for sharing it and I hope you love it!